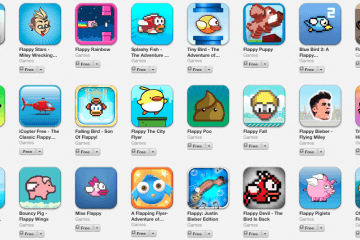 Thousands of apps and games are added to the App Store each week, and trawling through them to find the good ones can be difficult. That’s where we come in! We’ve found three titles in particular that we think are worthy of your attention this week. Stuck in the eponymous Room 1309 of the mysterious Hotel Orpheus, you’ll need your wits about you if you want to escape. Hunt for clues and solve environmental puzzles in a game that feels much more like a real escape room than some of its puzzle contemporaries. With artwork hand-drawn by its solo developer, this is a game oozing with weird ghostly charm. If you like Rusty Lake Hotel but find it a little too obtuse, this could be the perfect antidote. Ready for a scare or two? This new game from the Alien franchise pits you and your small crew against a roaming Xenomorph on a compromised spaceship. Take on the role of Ripley’s daughter as she tries to outsmart a huge deadly alien by sending commands from the space station’s control panel. This is an immersive and often genuinely frightening experience that feels a little like a big budget Five Nights At Freddy’s sequel. History is full of inspiring women, and this charming app hopes to teach little boys and girls all about them with engaging stories. Learn about the feats of women like Rosa Parks, Amelia Earhart, and Marie Curie through a series of beautiful illustrations and fully narrated stories. It’s suitable for a wide age range and makes learning about historical figures fun – because everyone needs a role model.